Get Your Kid to Look at the Camera, with Phoxi Friends! If you’ve ever attempted to take posed photos of young children, then you know how difficult it is to get them to look at the camera. Seriously, it is like trying to pose a worm. Fortunately, there are camera accessories called Camera Buddies or Lens Friends to assist you with keeping a child engaged and happy while you snap away! 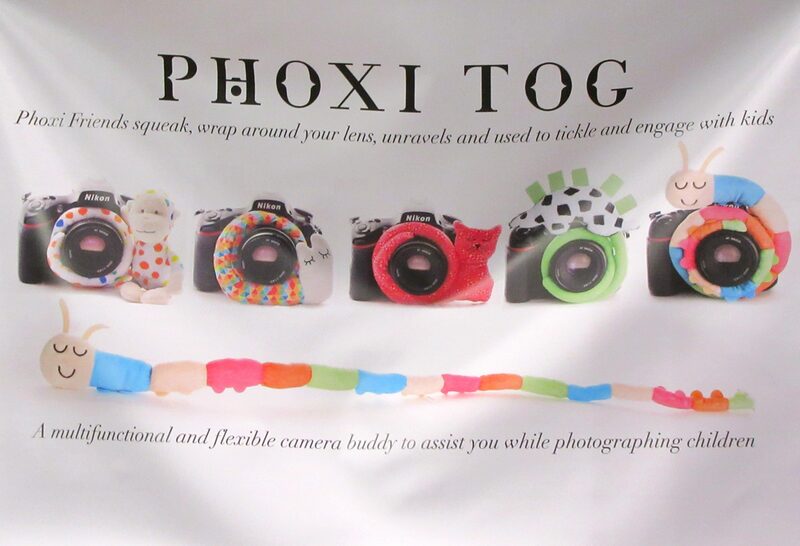 While attending the recent PhotoPlus Expo in NYC, I just had to stop at the booth for Phoxi Tog, who make line of vibrantly-colored camera buddies called Phoxi Friends. They caught my attention right away! Phoxi Friends Camera Lens Wraps are a line of insanely cute photography tools designed for those who shoot portraits of kids. These patented, eye-catching accessories are different from any other camera lens wrap or lens buddy on the market. Phoxi Friends are designed to help you capture a child’s attention without having to waste your energy singing, dancing, waving your hands, and making strange noises. 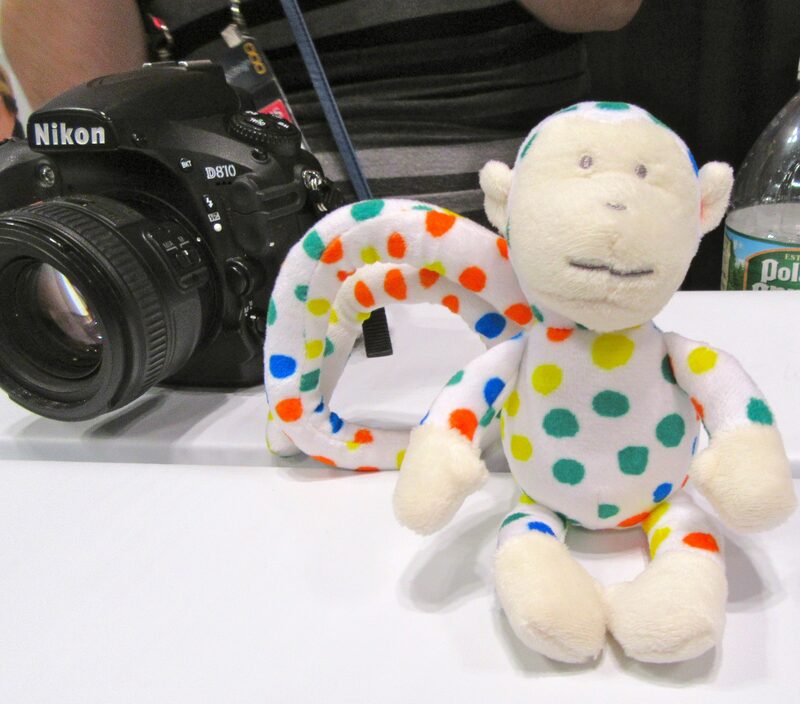 The patented design has a soft plush stuffed toy on one end (that also includes a built-in squeaker), with the other end serving as a flexible tail that can wrap around any camera lens you use. The tail can also extend the toy to interact playfully with the child. 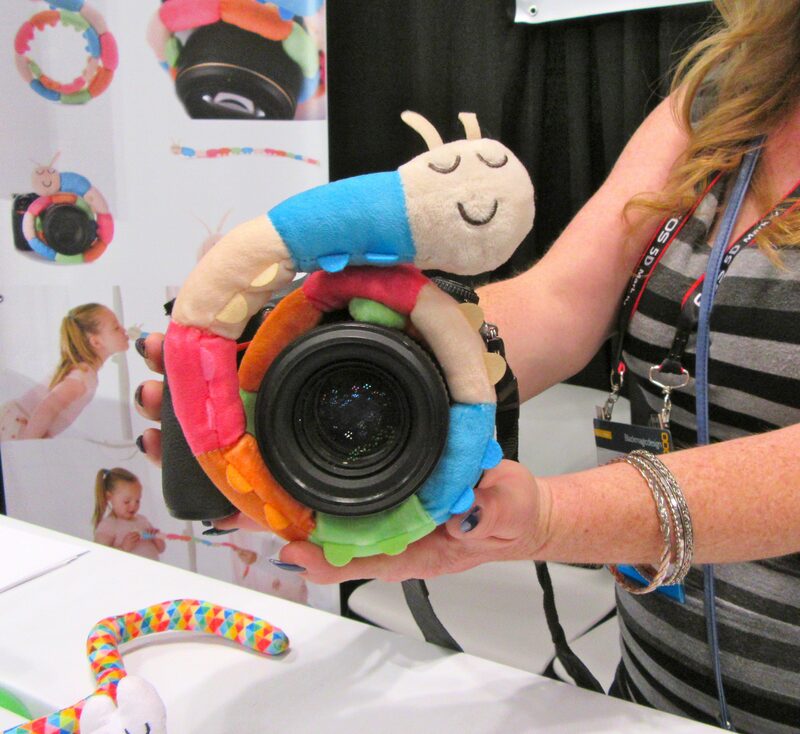 Kids do have a short attention span, and with a nice selection of critters available, you can switch it up and wrap a different Phoxi friend around your lens to keep the smiles coming. Some kids are very shy, and this tool is a great icebreaker! See the full line of Phoxi Friends lens wrap designs, and purchase online, at This Link!